^ Harry 2004, pp. 91–93. ^ AppleRecords-British Vinyl Releases. （原始内容存档于2007-07-06）. 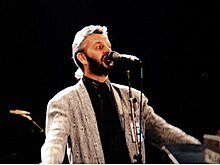 ^ Ringo Starr，an Annotated Discography. Meltingpot.fortunecity.com. [2008-11-08]. （原始内容存档于2008-12-31）. ^ 8.0 8.1 《Circus》 – Circus Raves，No 115，August 1975. 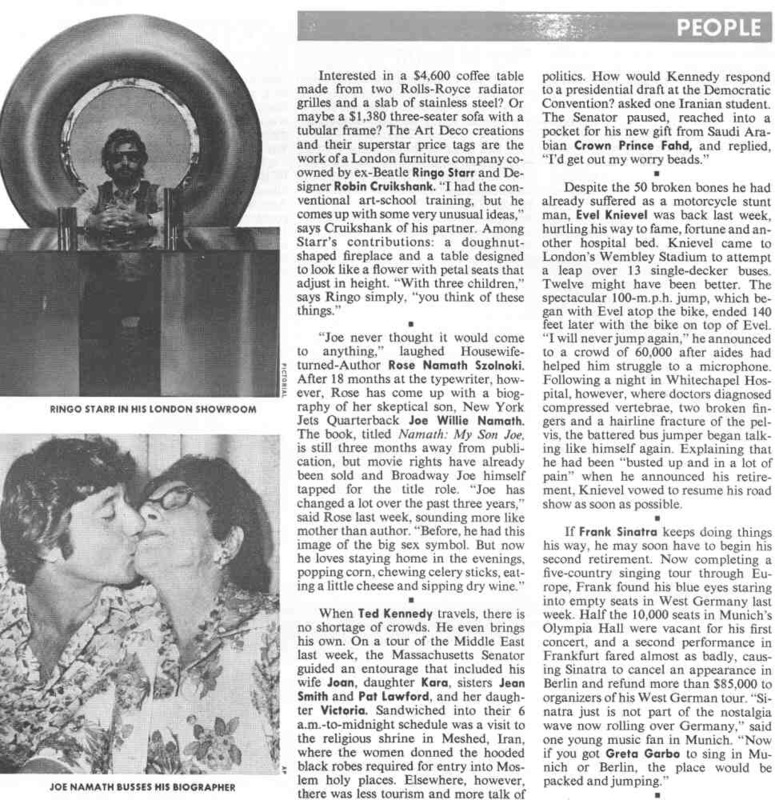 "Ringo forms 'Startling' New Label"，page 13. ^ Ring O' Records Discography. Rarebeatles.com. [2008-11-08]. ^ 10.0 10.1 Benneham, David. In Their Own Words: The Beatles – After the Break-up. Omnibus Press. 1991: 23. ISBN 0-7119-2558-5. ^ Clayson 2005, p. 301. ^ Harry 2004, p. 135. ^ Clayson 2005, p. 24. ^ Harry 2004, p. 136. ^ 15.0 15.1 Harry 2004, p. 7. ^ Clayson 2005, p. 345. ^ Harry 2004, p. 226. ^ Harry 2004, pp. 315–316: "Brush with Greatness"; 178:"Curly Sue" and "You Never Know". ^ Harry 2004, pp. 334–337. ^ Harry 2004, p. 236:"Little Willow"; 83–84: "Beautiful Night". ^ Harry 2004, p. 275. ^ Harry 2004, p. 358. ^ Percussive Arts Society: Hall of Fame. （原始内容存档于2009-11-17）. ^ Ringo Starr Forms New Label. Tourdates.co.uk. [2011-08-14]. （原始内容存档于2011-08-07）. ^ Phillips, Michael. 'Starr' helps NORAD track Santa (新闻稿). US Air Force. 2003-12-02. （原始内容存档于2012-12-12）. ^ Ringo birthplace to be bulldozed. BBC News. 2005-09-09 [2013-05-12]. ^ Clover, Charles. Ringo Starr's old house to be taken down and stored as 11 streets are demolished. The Daily Telegraph (London). 2005-09-19 [2008-01-23]. ^ Ringo Starr, Superhero. Geeksofdoom.com. 2007-01-17 [2010-05-03]. ^ Starr to put solo material online. BBC News. 2007-06-19 [2008-11-08]. 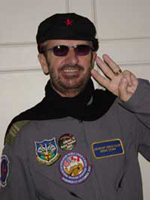 ^ Ringo Starr to stop signing autographs. [2008-10-14]. （原始内容存档于2008-10-30）. ^ Concert Review: Change Begins Within. The Hollywood Reporter. 2009-04-05 [2009-06-23]. （原始内容存档于2009-04-09）. ^ Terdiman, Daniel. How 'Beatles: Rock Band' came together. CNET. 2009-06-04 [2009-08-26]. ^ Lucy Connolly. Puppet on a sing. The Sun (London). 2009-11-21 [2009-11-24]. ^ Kreps, Daniel. Ringo Starr Recruits Paul McCartney for New Album 'Y Not'. Rolling Stone. 2009-11-19 [2013-07-21]. ^ Oldenburg, Ann. George Clooney explains 'Hope for Haiti' celebrity phone bank. USA Today. 2010-01-22 [2010-01-22]. ^ Cashmere, Paul. Ringo Starr Turns 70 With A Little Help From His Friends. undercover.com. 2010-07-10 [2010-07-11]. （原始内容存档于2013-05-12）. 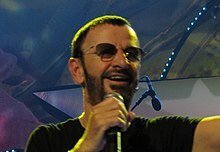 ^ Ringo Starr & His All Starr Band To Tour The Pacific Rim In 2013. RingoStarr.com. 2012-10-17 [2012-12-26]. （原始内容存档于2012-12-24）. ^ Clayson 2005，第141页; Gould 2007，第263页. ^ Clayson 2005, p. 142. ^ Harry 2004, pp. 322–325. ^ Norman 2008, p. 615. ^ Clayson 2005，第256–258页; Gould 2007，第604页. ^ Clayson 2005, p. 362. ^ Clayson 2005, pp. 291–292, 304. ^ Zak Starkey's Biography. Kathy's Zak Starkey Site. [2009-04-08]. ^ Clayson 2005, p. 281. ^ Clayson 2005, pp. 374–375. ^ Harry 2004, p. 162. ^ Coxon, Ian. Sunday Times Rich List 2011. The Sunday Times. 2011-05-08 [2011-05-21]. ^ Clayson 2005, p. 125. ^ Clayson 2005, pp. 125, 145. ^ Harry 2004, pp. 99–100: Candy; 244–245: The Magic Christian; 88–89: Blindman; 316–317: Son of Dracula; 106–108: Caveman. ^ Harry 2004, p. 268: The Point!, 373: 200 Motels. ^ Harry 2004, pp. 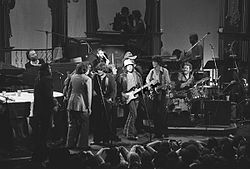 235: The Last Waltz, 331: That'll Be the Day. ^ Harry 2004, pp. 206: Give My Regards to Broad Street; 236: Lisztomania. ^ Harry 2004, pp. 281–282: The Prince and the Pauper. ^ Wilkerson, Mark; Townshend, Pete. Amazing Journey: The Life of Pete Townshend. Bad News Press. 2006: 611. ISBN 978-1-4116-7700-5. ^ No. 43667. London Gazette (Supplement). 1965-06-04: 5486–5489 [2009-10-21]. ^ (4150) Starr. Harvard-Smithsonian Center for Astrophysics. ^ Ingham 2009, p. 143. ^ Harry 2004, pp. 297–298. ^ Starr set for Rock and Roll Hall of Fame honour?. contactmusic.com. 2007-09-03 [2008-01-23]. ^ The Official Hollywood Walk of Fame Star Finder. Retrieved 20 February 2010. The Beatles. The Beatles Anthology. Weidenfeld & Nicolson. 2000. ISBN 978-0304356058. Clayson, Alan. Ringo Starr. MPG Books. 2003. ISBN 1-86074-488-5. Gould, Jonathan. Can't Buy Me Love: The Beatles， Britain and America. Piatkus Books. 2008. ISBN 978-0-7499-2988-6. Harry, Bill. The Ringo Starr Encyclopedia. Virgin Books. 2004. ISBN 07535-08435. Lewisohn, Mark. The Beatles Recording Sessions. Harmony Books. 1988. ISBN 0-517-57066-1. Macdonald, Ian. The Beatles' Records. Revolution in the Head 1. Vintage. 2008. ISBN 978-0-099-52679-7. Manning, Sean. Rock and Roll Cagematch: Music's Greatest Rivalries， Decided. Crown Publishing Group. 2008. ISBN 978-0307396273. Miles, Barry. Many Years From Now. Vintage-Random House. 1997. ISBN 0-7493-8658-4. Spitz, Bob. The Beatles: The Biography. Little， Brown and Company. 2005. ISBN 978-0316803526.